Interview with Catherine O'Sullivan Harvard Kennedy Women's Leadership Board. “The fact I’m jetting off to Harvard because I’ve been invited to join the Harvard Kennedy Women’s Leadership Board – in my wildest dreams would never, ever have happened – but it has happened because I reached out.” Catherine O’Sullivan. Catherine O’Sullivan is a collaboranaut. A what? … we’ll get to that later. 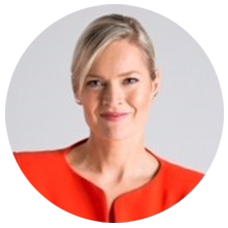 She’s also a highly successful senior executive, invited on to sit on The Harvard Kennedy Women’s Leadership Board, Pro Vice Chancellor Pathways and Partnerships at Bond University and chief judge in Queensland of the Telstra Business Women’s Awards. If that’s not enough she’s recently attended the Women in the World Summit featuring Hillary Clinton, Meryl Streep and Helen Mirren. Martine Harte: Welcome Catherine, first up how do you describe what you do? That means, a great connector of people. I’m incredibly curious so I love to hear the stories and then connect and connect in obscure ways. The fact I’m jetting off to Harvard because I’ve been invited to join the Harvard Women’s Leadership Board – in my wildest dreams would never, ever have happened – but it has happened because I reached out to Same Sky. Same Sky is a jewellery brand, people in Rwanda create jewellery and it’s sold and all the benefits go back to Rwandan women who are affected by the genocide. Now the jewellery is absolutely beautiful, made from hand-blown glass beads, I was given some for my 50th and loved the concept for many years. And now the extraordinary founder Francine Le Frak has invited you to be on this prestigious board, how did this unfold? That’s excellent, what do you think are the main pressing issues for women? Catherine O’Sullivan: I think it almost comes back to the power in recognising diversity. Because the digital world has globalised our thinking so much I see the increasing need for us to be raising diversity in all shapes and forms. 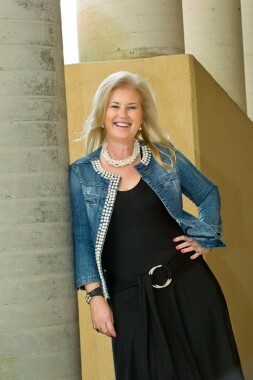 You are chief judge at The Telstra Women in Business awards and an award recipient. Why do you encourage us to enter? It’s just a wonderful process of connecting with inspiring women; women who are building success and I just find it’s the biggest privilege to get and listen to them and somehow stay part of that afterwards. I genuinely believe that unless we’re supportive we won’t move forward, I would definitely like to see more women stretching their arms out and trying to pull other women through. We can impact change through connected conversations and networking. What is your biggest threat to business success? Catherine O’Sullivan: Probably self-deprecation. I wouldn’t say subservience but very much about being a “good girl” you know: respect for older people, respect for leadership and not challenging that authority as much as probably I should be able to. Catherine O’Sullivan: I grew up with a strong Catholic upbringing so conforming to roles and rules. You don’t ever really shake that off and in fact that is one of the biggest learning’s I’ve had with Telstra. It was hard for me to realise people actually are interested and this is not an ego driven conversation this is a learning conversation. These days sharing is very powerful. Catherine O’Sullivan: That’s right and this is intrinsically ingrained in me not to do that. What do you wish you were told at the very beginning of your career? Catherine O’Sullivan: I have this wonderful quote, “Know yourself, be yourself, and forget yourself.” I often think about that because ‘forget yourself’ is the hardest part. Forget yourself. When your speaking with someone, have the conversation that is there, forget the conversation that’s in your head as well. So interesting, one of the biggest themes of the accomplished women in this series is some type of adversity; life isn’t always a breeze. You sound like you’ve chosen to be an upbeat person? Catherine O’Sullivan: I’m so grateful for it and its made me even more sensitive about people who don’t have that sense of optimism. Soon as I’m around people my energy level goes up; I’m full of beans. So for me I just surround myself with people and I’m fine. Tagged in business women, networking, Women in Business Awards.